Added value, better energy efficiency, more comfort – these aren’t just words, they represent the benefits you’ll experience after insulating your home with Big City Insulation of Idaho! A variety of services – from insulation to garage doors, Big City Insulation of Idaho can help you improve the energy efficiency and aesthetic of your home or commercial building. 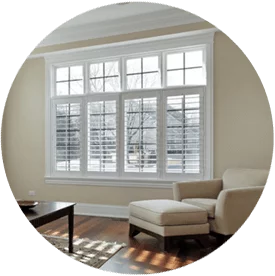 We install insulation, window blinds and garage doors and also offer insulation removal, air sealing and more. 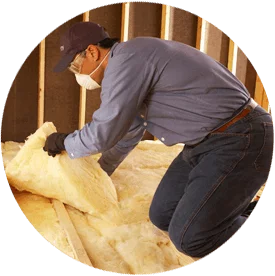 If you need quality commercial or home insulation services, contact us online today, or call 208-488-4962. We are your source for professional residential and commercial insulation in the Boise, Idaho area. We are industry leaders; builders, contractors and homeowners know they can count on us to get the job done right, on time, on budget and safely. Our team of local insulation installers has worked with many builders, contractors and remodelers on new home and commercial building construction projects. We can help you complete the job on time and under budget, no matter the scope or nature. Are your energy bills higher than normal? You may need to re-insulate your home. 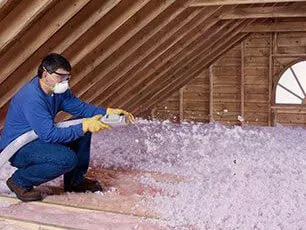 Insulation is one of the best ways to increase the energy efficiency and comfort of homes all year long. Big City Insulation of Idaho can help you save money and live more comfortably with the right insulation solutions. We also provide commercial retrofit insulation services for offices and other buildings. Regardless of what type of insulation you need, or where you need it, we can help! We provide residential and commercial insulation services and look forward to working with you on your project. We’ve been servicing Boise, Nampa, Eagle and the surrounding areas for years, and as part of the IBP family of companies, we offer the expertise and resources that few local companies can match. Stop searching for an “insulation contractor near me”—contact us online or call 208-488-4962! Welcome to Big City Insulation of Idaho, your source for professional insulation and more. Builders, contractors and homeowners throughout Boise and surrounding areas in Treasure Valley depend on us for a variety of products and we are proud to serve them.